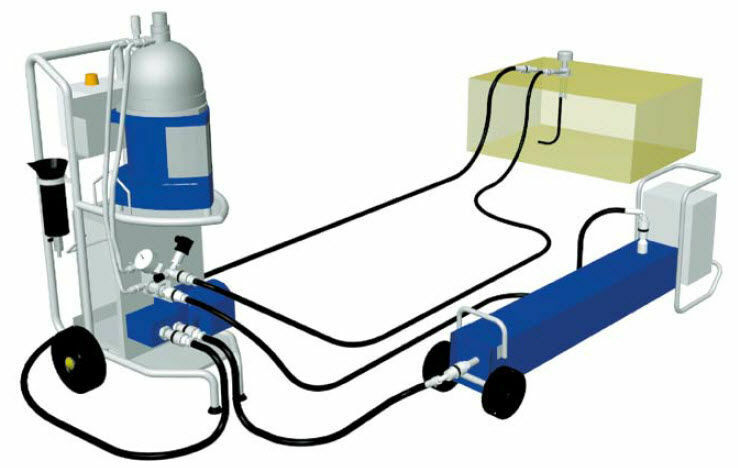 The emmie comprises a trolley-mounted centrifugal separator and electrical oil heater for use on ships. Moved between marine hydraulic systems, it removes water and 99% of all 2-5 μm particles from oil, increasing oil service life and system reliability. The Alfa Laval emmie is a portable marine hydraulic oil cleaning system that effectively cleans hydraulic oil, removing both 99% of all 2 - 5 μm particles and 100% of the free water from oil used in hydraulic systems onboard ships. It meets the requirements for hydraulic oil cleaning in accordance to ISO Cleanliness Code 4406:1999 13/11/8. Designed for use in systems such as CP propellers, steering gear and other marine hydraulic machinery, the Emmie consists of a disc-stack centrifugal separator, which can operate in purifier mode and clarifier mode, and an electrical oil heater. By prolonging the service life of marine hydraulic oils, the Emmie increases uptime, minimizes wear on maritime hydraulic equipment and reduces costs. 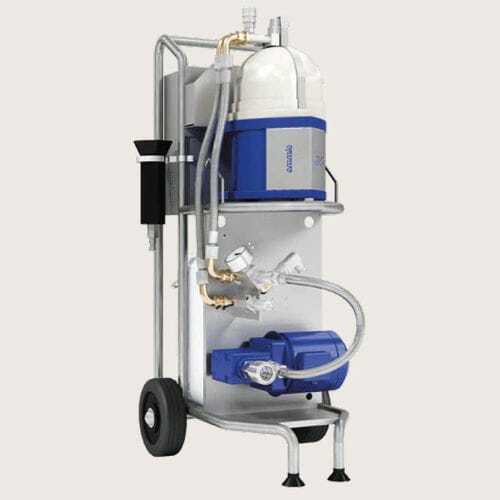 In doing so, this portable ship hydraulic oil cleaning system generally pays for itself in less than a year.